It's difficult to judge The Amazing Spider-Man entirely on its own merits. The Marvel comic book superhero reboot comes only a decade after Sam Raimi's original Spider-Man. This gritty, more "realistic", teenage version of our friendly neighbourhood web head, directed by the aptly named Marc Webb (500 Days of Summer), occasionally succeeds on its own but fails to set itself apart. It's curious the way Webb chose to do a complete reboot with a new origin and high school storyline. The film is very familiar with so many parallels to the previous incarnation despite making cosmetic changes to the story. We know what happens. Peter gets bit and discovers his powers in line with his own developing maturity and the tragedy of his home life. Unlike other superheroes, Spider-Man does not vary wildly in tone or conception (or even costumes) between different writers and storytellers. Part of his appeal is the universality and Parker's struggles. Webb swaps out some characters for others and abandons others (no Mary Jane, J. Jonah, Daily Bugle, Harry or Norman Osborn, despite the latter being heavily referenced). Andrew Garfield (The Social Network), albiet a little old at 28 to be playing a teenager, is a capable, sympathetic Peter Parker. However, I could have used a break from his emo demeanour and stereotypical high school drama. He brings sympathy and humanity to the role but is hampered by dour motivations and depressing material. His counterpart Emma Stone is easily the best part of the film. Stone is smart and assertive as Gwen Stacy, never the damsel in distress. Her charm and screen presence carry every scene she is in. Her chemistry with Garfield is palpable and she brings heft to their relationship. The film is wildly uneven and Dr. Curt Connors (played by Rhys Ifans) is supbar as a villain and character. I didn't mind the hokey character design and Godzilla like battles with Spidey. However, the human Connors is never given proper motivation or development. His villainous turn and thought process is never adequately explained before his rampage on New York City. Webb goes for mystery, hyping the untold origin of Spider-Man, but everything is predictable and unexciting. Spidey suffers from a bit of coincidental tendencies where New York feels like a handful of characters who all know each other. Parker dates schoolmate Gwen (her father is the police captain hunting Spider-Man) working as an intern for mad scientist Connors (lab partner to Parker's dead father) who turns into the villainous Lizard. Everything is far too interconnected and under written. 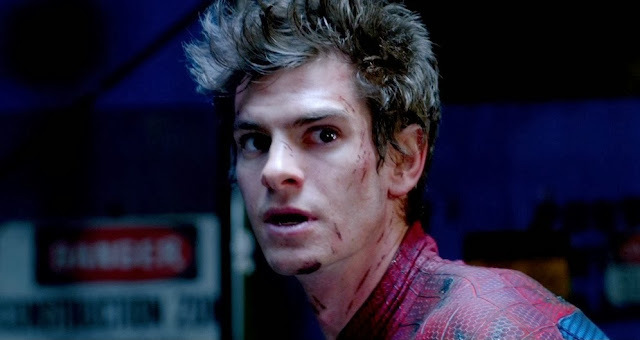 The Amazing Spider-Man tries to be all things at once jam packed in 136 minutes. It's stuffed with a slow origin, parental backstory with no pay off, half of a villain's arc, romance, and countless daddy issues. We spend enough time with Peter, but most of the supporting characters feel rushed in their interactions. It's enjoyable enough, but lacks a soul. It does so much without much of it compelling enough. The world building suffers from so much character work needed yet most of the characters short shifted in their arcs. I wanted so much more of Martin Sheen as Uncle Ben, Denis Leary as Captain Stacy (despite the slow pace), and to care about Dr. Connors or really fear the Lizard. The film lacks an authorial voice which Raimi's previous series (for better or worse) had in spades. The Amazing Spider-Man tries too hard to be different from its predecessors and fails to be its own completely satisfying creation. I marvelled at how similar this was to the 2002 original despite a wildly different filmmaking style and tone. The Amazing Spider-Man is still very watchable and entertaining, especially for those less conscious of the previous films. There are some fine performances and set pieces yet it lacks a complete, coherent structure and consistent tone. Its biggest challenge is the baggage behind its conception and execution. However, as its own film, it mostly works when it actually creates a forward momentum. It's not exactly "amazing", but just appealing enough.